Home / News, Other Political News, Politics / SHAME as MPs go into hiding when they saw DPP NORDIN HAJI in Parliament buildings on Wednesday - Some were hiding in toilets. SHAME as MPs go into hiding when they saw DPP NORDIN HAJI in Parliament buildings on Wednesday - Some were hiding in toilets. Friday August 31, 2018 - There was drama in the National Assembly on Wednesday after MPs and Women Representatives went into hiding after spotting the Director of Public Prosecutions, Noordin Haji, in Parliament. Noordin, who is the man behind the ongoing purge against corruption, arrived in Parliament at around 10 am and when MPs spotted him, they started hiding one by one. MPs and Women Representatives are among the most corrupt individuals in Kenya and many of them are on the DPP’s radar over the misuse of Constituency Development Funds (CDF). A source said many were hiding in the toilets because they didn’t know why the DPP was visiting Parliament. However, they finally realised that Haji was in Parliament following a summon by the Senate Justice, Legal Affairs and Human Rights Committee to brief them on the status of the crackdown on graft. 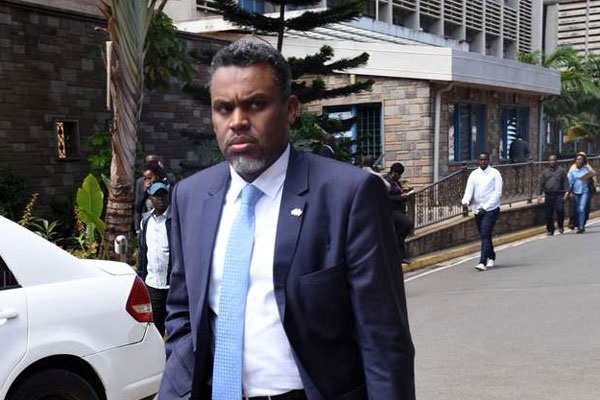 Haji told the committee that his corruption fight is being obstructed by corrupt Judges and Magistrates and urged Chief Justice David Maraga to sack Judges and Magistrates who are corrupt.